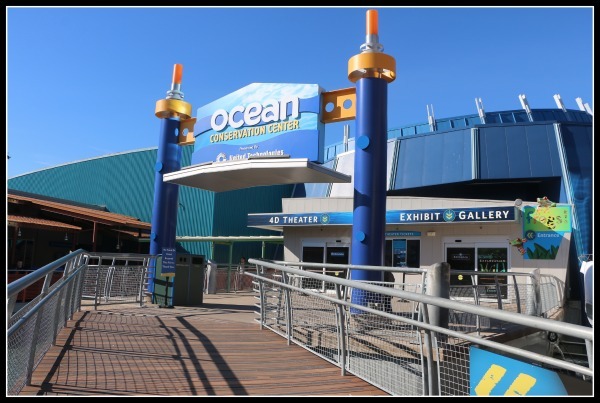 Our Mystic, Connecticut journey continues as we take on the Mystic Aquarium. 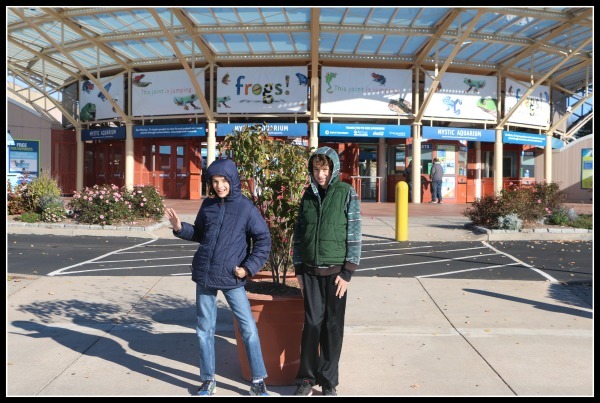 We are big fans of aquariums and have been to several in many states. The first time I visited here was with my husband on our first wedding anniversary. We had a blast and this remains one of my favorite spots. It was great to be able to bring the kids. It was a perfect Fall day when we first entered. I want to mention right away that every single staff person we encountered that day were friendly, knowledgeable, and eager to help. That must be tough considering the amount of visitors and field trips that cross through these doors. These gorgeous sea lions were truly enjoying their day. The staff member kindly reminded me not to lean over the rail with my phone. Good call because in the excitement and with the sudden rush of kids I could most certainly drop it in! Thanks for the tip, as I’m sharing it! A fun fact that I didn’t know: Mystic Aquarium’s Animal Rescue Clinic has been rescuing marine animals along 1,000 miles of the Northeastern coastline since 1975. 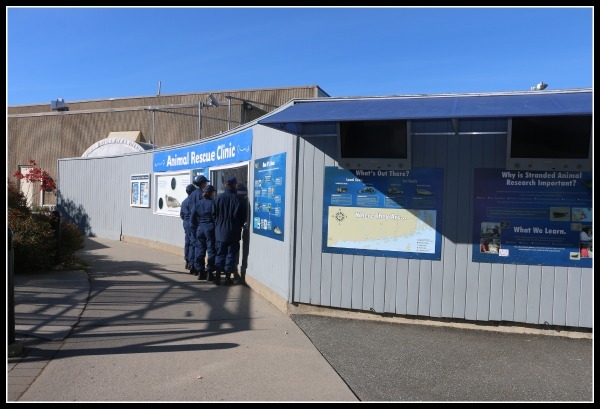 Working closely with the National Oceanic and Atmospheric Administration (NOAA) Fisheries and other government agencies, the Animal Rescue Team responds to an average of 30 stranding calls each year while also providing support to other stranding facilities in New England and even as far as California. They get these guys ready and release them! We arrived in time to witness the penguin feeding! These cute little guys won our hearts! 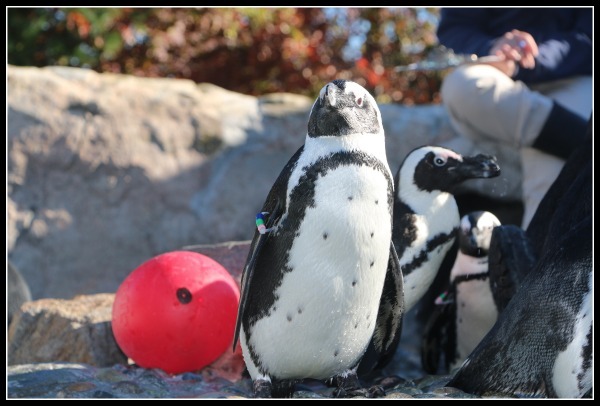 We found out that most penguins are actually warm weather birds. These little guys are going to be moved indoors soon. This guy in the vest made me tear up. He is one of the special needs penguins. 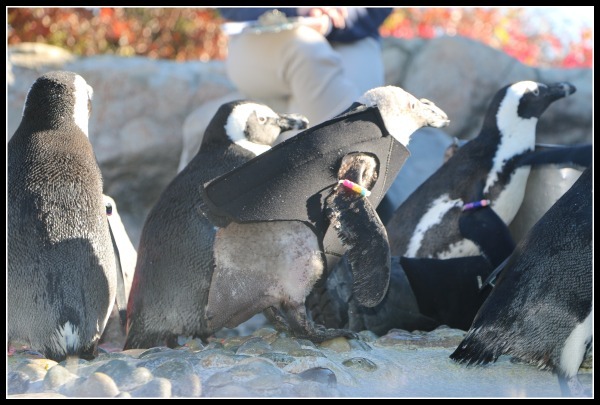 Penguins mate for life and this guy found himself a female penguin that also has special needs. She wears a boot. I couldn’t a picture during feeding time, but the staff told us you can see the pair sitting together. They have been together for over twenty years. Now don’t think that your older kids won’t enjoy a visit. My oldest is 12, almost 13 and thanks to Instagram he had plenty to share! LOL! We waited and waited, but we finally had a chance at the shark touch tank! 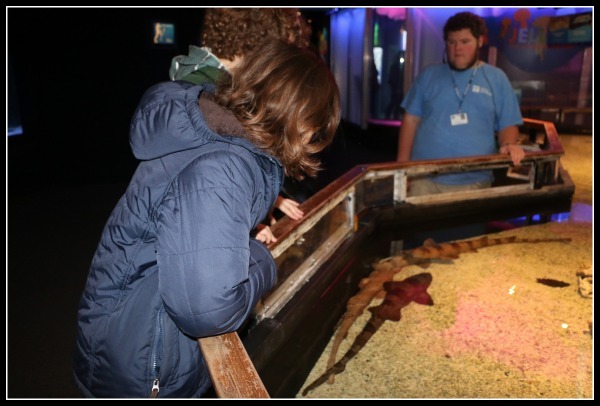 I don’t care how old you are, but when you get a chance to touch a shark or stingray you just need to do it! We also had a chance to view one of the short films in the 4D Theater. We stopped by to get tickets and the friendly staff member gave us tip. 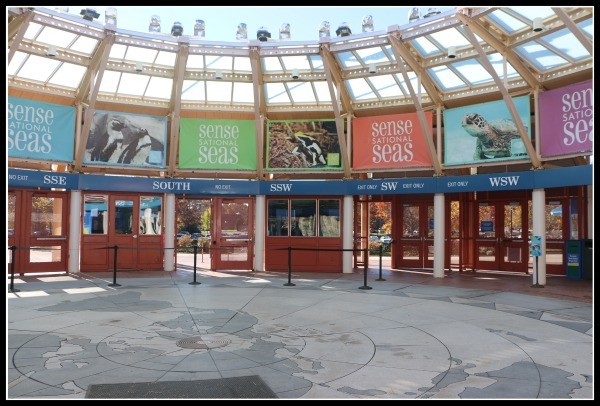 She said that it gets crowded after the Sea Lion Show and suggested we try to grab a viewing before it. Lucky for us we were the only 3 people in the theater! It was the coolest! You have to do the 4D! 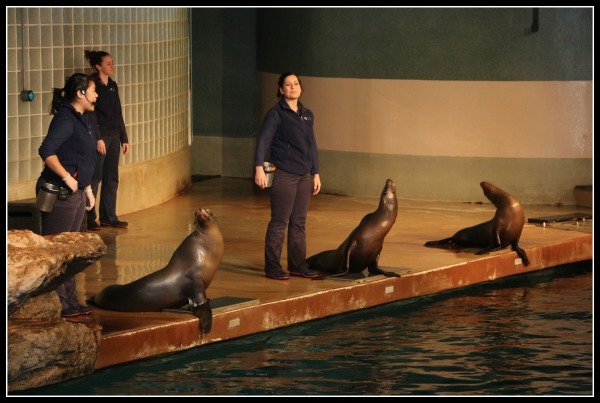 The Sea Lion Show was not what I expected, and that’s not a bad thing. I expected a ton of tricks, etc. Instead, we were educated as well as entertained. 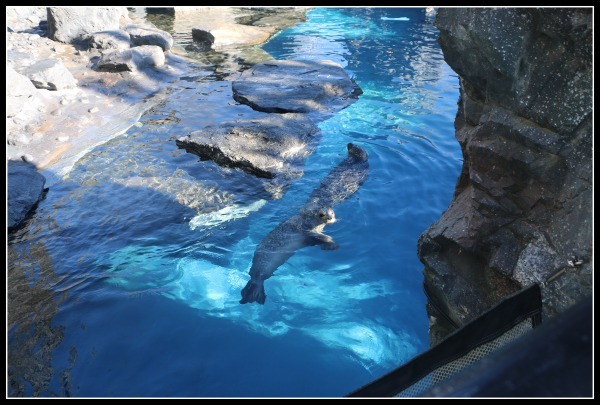 We learned many facts about the sea lions and the rescue program at the aquarium. It was well worth it. We also picked up a card that allows you to do a scavenger hunt by identifying frogs. There are so many educational opportunities for every age. We loved our time here! Tickets can be purchased online at a discount or on site! 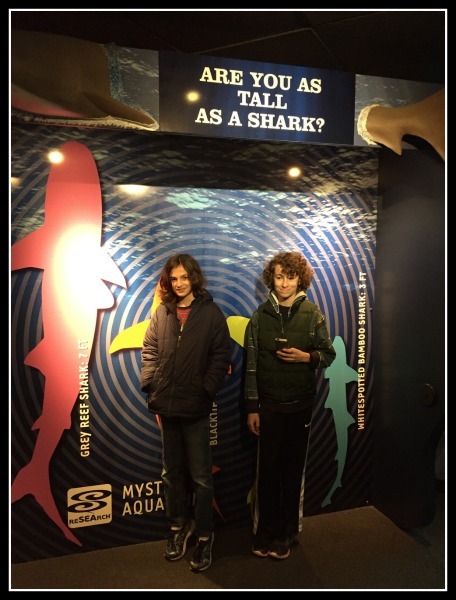 Regardless of age the Mystic Aquarium has something for everyone. It’s a must see on your trip! Disclosure: Tickets were provided free of charge for this visit, all thoughts are our own and have not been influenced. Wow, this aquarium looks awesome. And you got some great photos of the sealife. 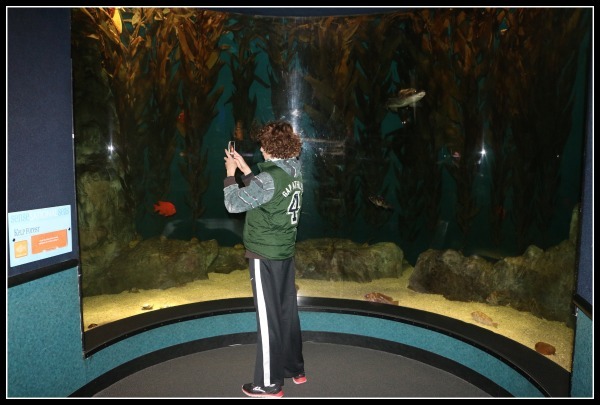 We’ve visited a LOT of aquariums across the country (we like them better than zoos), but have never been to this one. Adding to our list! Aww the seals are so cute! And wow Beluga Whales! Looks like an awesome one! I am such a fan of aquariums. I went to the Inner Harbor one last year and had fun. This one is going on my must visit list. I love the sea lions! What beautiful pictures! This seems like a really great aquarium to visit. I like how so much information is provided about the sea life as well as entertainment. Great pictures! The penguins are too cute. This sounds like a really wonderful aquarium. I look forward to my children being a bit older so we can enjoy a fun day trip like this. Wow! Special needs penguins mating for life!? Now THAT was totally unexpected! Jelly fish are definitely relaxing and interesting to watch, but I’ve heard their sting is something awful. It’s crazy how a creature so beautiful can be so harmful and deadly in some cases. This post reminds me that we’re overdue for a trip to our local aquarium. Glad you all had fun. We visited it last year! Even though it was raining, we loved it! This aquarium looks amazing! 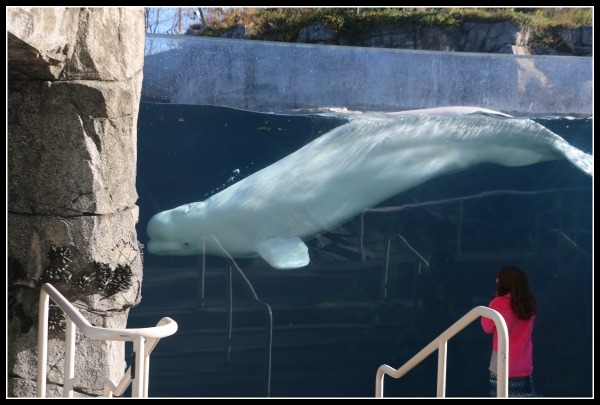 I would love to see the Beluga Whales. Wow this looks awesome! I am definitely going to have to take a trip here when my daughter gets a little older. I love aquariums. 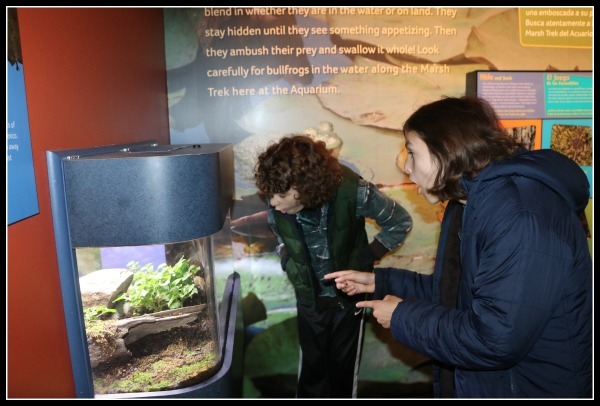 The aquarium is one of our favorite places to visit as well! What a sweet story about the special needs penguin, too. That is so cool! Not a huge fan of aquariums, but they do teach children a lot. That’s incredible, I love sea animals. I’ve never been to an aquarium. I would love to visit Sea world one day.